Hi! Welcome to my art studio! My lovely 6-year-old daughter and self-proclaimed photographer took my portrait above! I'm surrounded by my inspirational art and that is my favorite non-family oriented thing to do. I like to express my faith and uplifting verse in colorful style. Visit my Etsy store to see my whole collection of inspiring art prints. I love to paint, but I also express my faith in many other ways. You'll find loads of fun ideas for your "home, celebrations, and life" here in my blog and also in my book Inspirational Home: simple ideas for uplifting décor and craft. This fun resource is packed with unique do-it-yourself home accents and gifts with Christian themes. If you desire to share your hope in subtle, stylish and creative ways, please check it out! To provide unique, stylish Christian gifts, home decor and decorating ideas, I opened Creative Faith Place (www.creativefaithplace.com), a Christian home, gift and idea showplace in 2002. It encouraged fellow Christians to embellish their home and gift giving with reflections of their faith. Its boutique style filled a need for top quality inspirational gifts and home accents, offering products not typically available in traditional Christian bookstores. A majority were original designs, which were also sold wholesale to dozens of “brick and mortar” retail stores nationwide. As the site and my family grew, I needed to restructure, refocus my attentions back to design and simplify. 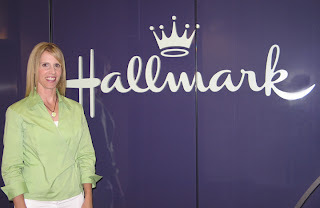 I decided to sell out the retail portion of creativefaithplace.com. Store traffic is being routed to a wonderful (and larger) Christian company – DaySpring.com. They began to carry many products from my line and I worked with them on creative – developing new products. They offer an assortment of my paintings, too. In addition, we worked together on a collection for Hallmark Gold Crown stores. 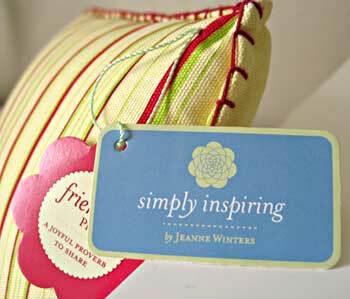 "Simply Inspiring by Jeanne Winters" is a bright assortment of uplifting gifts for all occasions. Some of my Christmas art is available in photo cards from Studio DaySpring! They offer incredible personalization and customization! Look under the horizontal option, then "illustrative" to view my art. Check them out here. 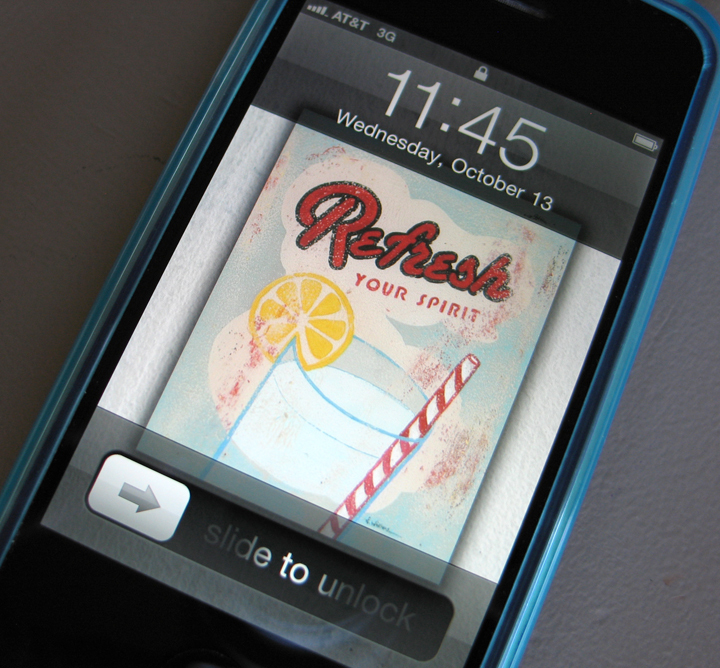 My art is an iPhone app!! Fun! 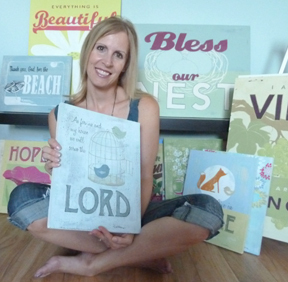 Look up "Scripture Signs by Jeanne Winters" in itunes to get some of my vintage art on your digital device! After years in Minnesota, Wisconsin and Connecticut I now live in the sunny southwest, with hubby and two kiddos. THANK YOU for coming by to soak in the sunshine with me!! I appreciate you! And all your comments and emails! Follow me on twitter. Like me on Facebook, etc. All that jazz! Please use the search tab in the sidebar to find loads of home, gift, holiday, occasion and everyday Inspiring Ideas!! !